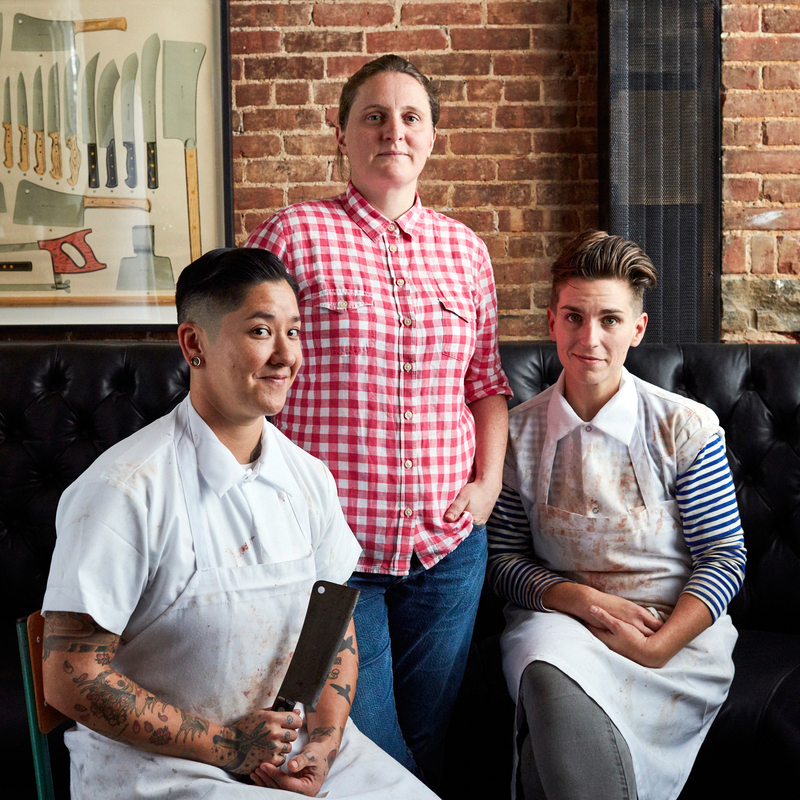 With renowned butchers Erika Nakamura and Jocelyn Guest, April Bloomfield and Ken Friedman are opening White Gold, a New York City butcher shop with an attached steakhouse. “I’ve always wanted to open a meat shop because I wanted more product,” April Bloomfield said, in-between cooking down apple jelly for a pork pie and throwing chickens on the rotisserie at White Gold Butchers, her just-opened meat shop-slash-restaurant in New York City’s Upper West Side. Bloomfield has already finished part one of the agenda: Earlier this fall, she opened Coombeshead Farm in Cornwall, England. Now she’s onto part two with her partner-in-crime Ken Friedman for White Gold Butchers. Part butcher shop and part restaurant, the idea was to allow her to play with meaty products she wouldn't normally have access to, like the feather blad, which comes from the shoulder. The retail portion is now open for business, and the restaurant will open to the public on November 1. Bloomfield tapped Erika Nakamura, beloved butcher behind the now-closed Lindy & Grundy in Los Angeles, and Dickson’s Farmstand Meats alum Jocelyn Guest to tackle the 11 cows from Albany, 8 Hudson Valley pigs, 5 Pennsylvania lambs and 400 chickens from the Catskills that are funneling through the meat counter to Bloomfield’s steakhouse. Nakamura and Guest will also supply all the ground meat to The Breslin (as well as the Ace Hotel Lobby burger), The Spotted Pig and Salvation Burger when it reopens. Named after the prized fat from the animal, White Gold Butcher is nearly two years in the making. Bloomfield wandered into Nakamura’s butcher shop a few years ago, and the two continued to keep in touch. They hatched this plan once Nakamura left Lindy & Grundy. Now their dream is a reality, with a 6-by-8-foot-long marble meat counter, Southern Pride smoker and Rotisol rotisserie. As for the food they're making, it’s an ode to New York. 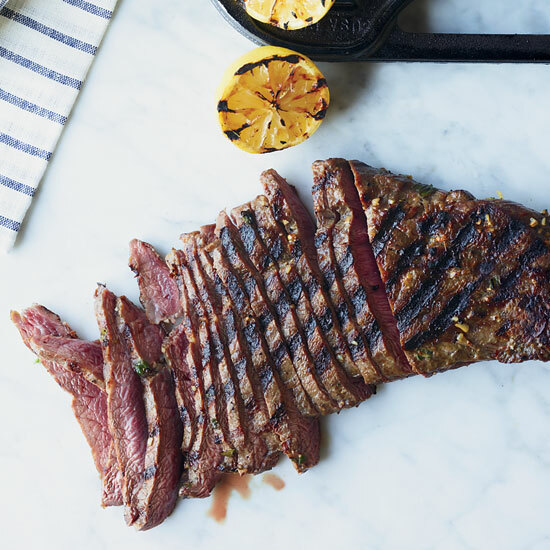 “It’s going to be like a retro bodega at lunch, but dinner will be a bit more simple and not too refined, like an upscale meat-and-potatoes kind of place,” Bloomfield says. Just the kind of place Guest and Nakamura love to call home.